My dad is a big proponent of hardware keyboards on smartphones. Partly because of this, he’s a big fan of BlackBerries BlackBerrys BlackBerry® smartphones. We’ve talked about it before, and I’ve shown him products like Spike, that bring tactile feedback to virtual keyboards. He recently retweeted an article that I really took issue with. It wasn’t so much that I disagreed with the author’s opinion (that hardware keyboards are better), but rather that I disagreed with the arguments and the presentation of them. My opinion about smartphone keyboard differences is simple: it’s user preference; both are valid; neither is superior to the other except in opinions. The first problem I had with the article is that the author uses the term “QWERTY” to refer to “hardware keyboard.” QWERTY is historically used to refer to a keyboard layout, not to differentiate between hardware and software keyboards. 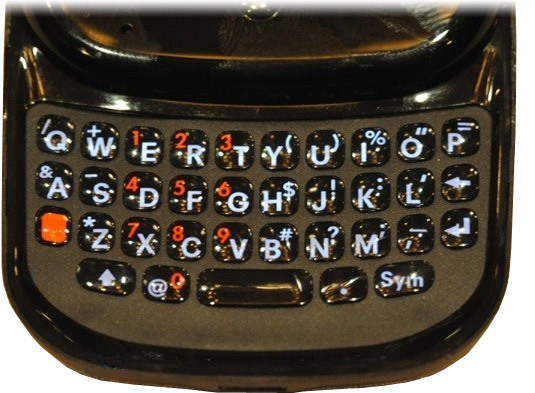 Most smartphone software keyboards are QWERTY. The layout and term have even existed since typewriters. I don't care how much time you spent training your autocorrect software to figure out what you are trying to say, it's still not going to be as accurate or as fast as you typing out your message right the first time. …Well that may be true, but he writes it like hardware keyboard users are immune typos. People get used to typing on physical and virtual keyboards alike, and become more proficient with typing as they get used to the keyboard. The same thing happens with users of computers getting used to the differences between mechanical, laptop, and netbook keyboard differences. Basically, I think it’s a silly argument, because it’s all about user preference. I only wrote this post because I think that that was a very poorly written and argued article, and I wanted to make a critique. Keep calm, and type on.